Ukraine`s President Viktor Yushenko says the main issues concerning its gas debts to Russia for 2007 have been settled. Naftogaz Ukraine claims it's submitted almost $US 500 million worth of debt for gas deliveries. The total debt Ukraine owes to Russia is estimated to be more than one billion dollars. This comes after Gazprom says it will cut natural gas deliveries to Ukraine by 25% on March the 3rd unless outstanding disputes are settled. Gazprom's spokesman Sergey Kupriyanov insisted Ukraine should settle the debt. He also said Kiev should sign an agreement outlining the two countries' responsibilities in the gas sector. “Until now we haven't had an official reply and the documents have not been signed. 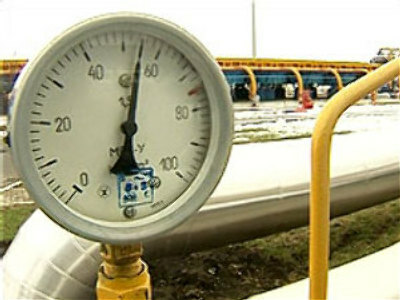 Meanwhile Ukraine continues to consume Russian gas: at the moment almost 2 billion cubic metres of Russian gas have been sent to Ukraine, obviously things shouldn't continue like that,” insisted Kupriyanov. Gazprom also said it will merge its electric power and coal assets with those of Russia's biggest coal producer SUEK, in a deal thought to be worth about $US16 billion. The deal could be finalised by September this year, pending the approval of Russia's Federal Anti-Monopoly Agency. The head of the agency's fuel and energy department Alexander Pirozhenko told RT the deal poses some risks. “Gazprom has a dominant position in supplying fuel to electric power stations while SUEK is a leader in supplying coal to the power stations of certain regions. Hence there are risks but these risks are not unmanageable. The state and, more specifically, the Anti-Monopoly Agency will allow the united company to operate under certain strict conditions to ensure competition,” commented Pirozhenko.